Steve Rogers, Supreme Leader of Hydra, had the heroes of the Marvel Universe on the ropes in the month of June. The deceitful Captain always seemed to be one step ahead of the resistance as they searched for the cosmic cube shards. But the heroes had a secret weapon: the Agents of the #FantasyComicLeague. 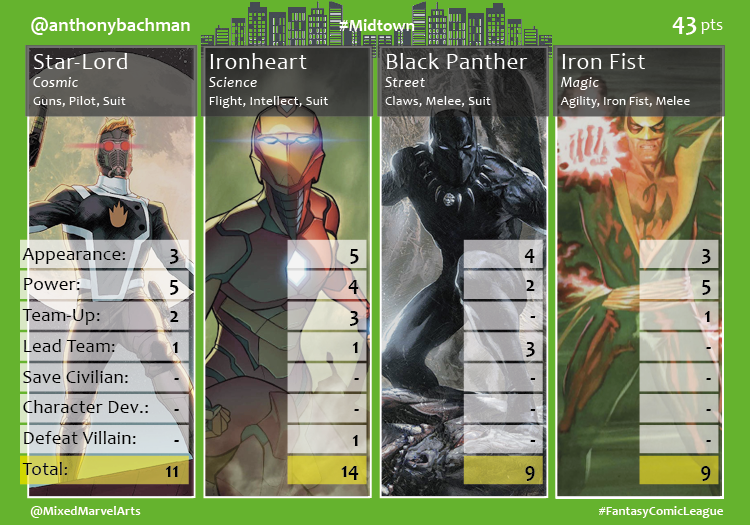 The Midtown Agents scored a total of 313 points while saving 13 civilians and defeating seven of their antagonists. 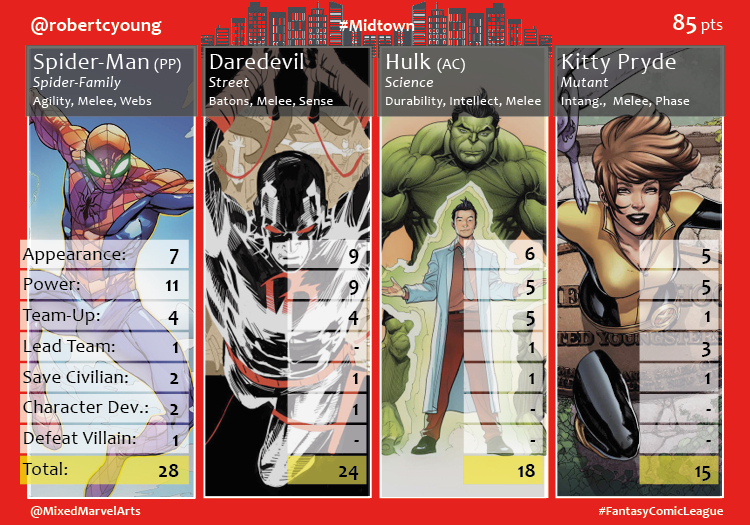 Daredevil had a stand out month and appeared in nine comics for the division leading Agent @robertcyoung, who scored 85 points. 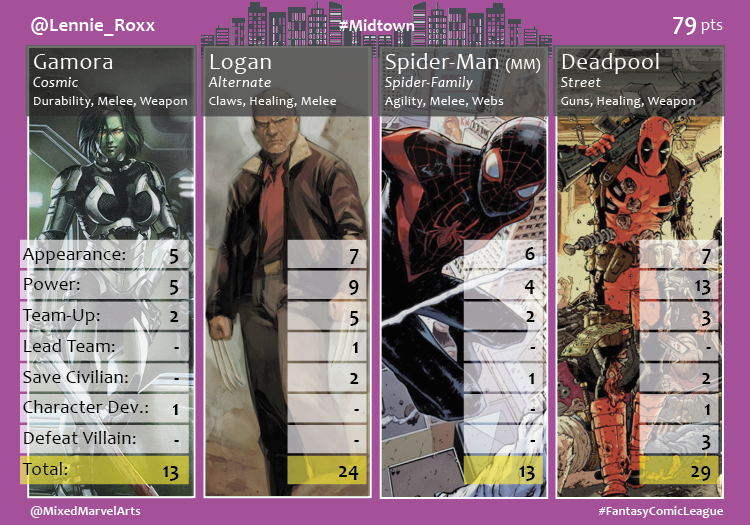 Agent @Lennie_Roxx tallied 79 points and snagged a second place finish thanks to Deadpool’s standout performance. 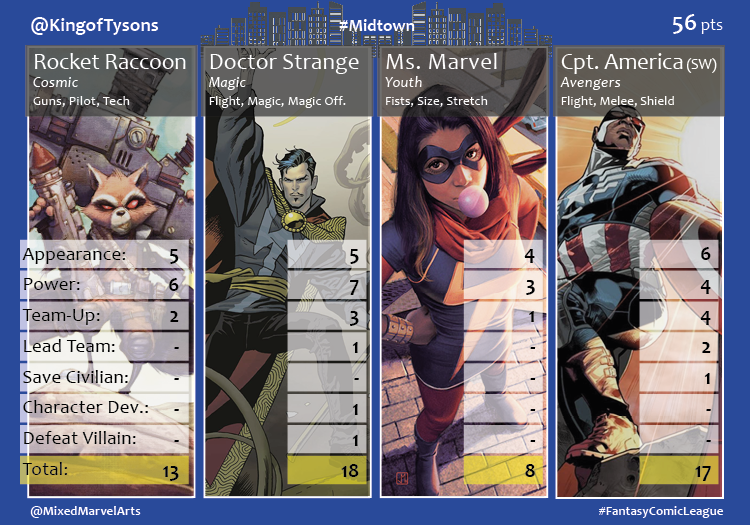 Doctor Strange and Sam Wilson led Agent @KingofTysons to a third place finish and 56 points. 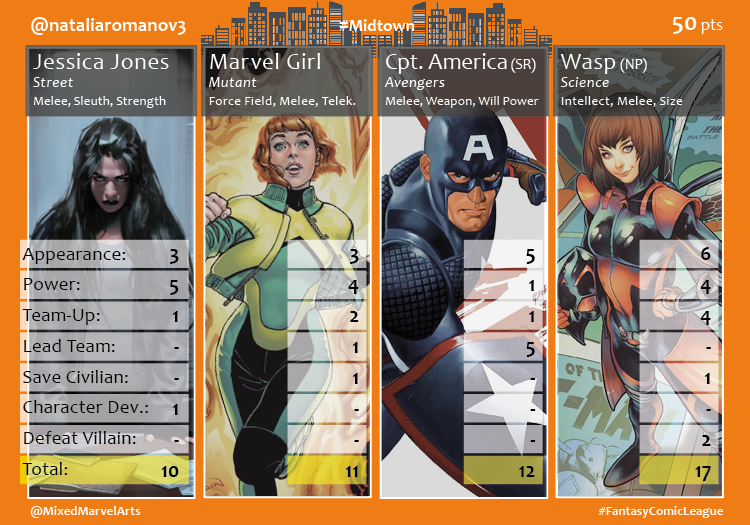 The new Wasp, and recent Fantasy Comic League A-Lister, Nadia Pym helped Agent @nataliaromanov3 score her first overall monthly point with a fourth place finish and 50 points. After his strong first place finish in his first month, Agent @anthonybachman failed to recover. Ironheart led his team with 14 points as he finished in last place with 43 points.